Wayne Braybrook discovered Norwood Teversal 9 years ago with the help of an old trials mate, now knowing the venue like the back of his hand, and with the super dry UK weather seeing Norwood drier than ever, RAW Enduro were able to provide all the lucky competitors with an awesome average 14 minute lap around the traditional woodland venue. Parts of the old 1960’s Scrambles track are still in use during the once per year visit to Norwood. Truly Iconic, the racing was as tight as ever at this fantastic venue. Youth Class riders had the full adult loop without the big dipper hill climb and descent. Jack Houghton won the Junior Auto class in fine style completing 4 laps. Theo Nicholson had his best result to date taking runner up, whilst Owen Nicholson made it a family affair to grab a well earned third place before Dad Gary rode in the adults. William Cawte made the journey from the Isle of Man worthwhile to take the Youth A class win a clear lap up on Tommy Tate. RAW Team Rider Bert Boam once again got out of the right side of bed to win the Youth B by over 4 minutes at the flag. Newcomer Billy Rippon was second with Championship hopeful Hayden Stansfield taking third place being the final Youth B rider on 7 laps total. The first Adult race of the day was fired into life around 15 minutes behind schedule due to one broken down youth rider still out on track. As soon as race marshals gave the signal all was clear Wayne Braybrook flagged away the morning race competitors one row at a time. 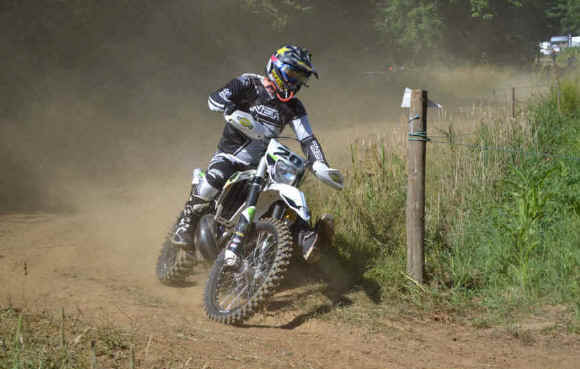 Richard Taylor was on fine form around Norwood taking the Sportsman class win. Literally seconds separated the top three places, James Marwood placed runner up and Simon Tate overcame a poor start to get back up to third at the finish. As the sportsman Elite class keeps growing, Shaun Woffinden had to ride the wheels off his Husky to take the win after being hounded by James Cooke Thomas all race. 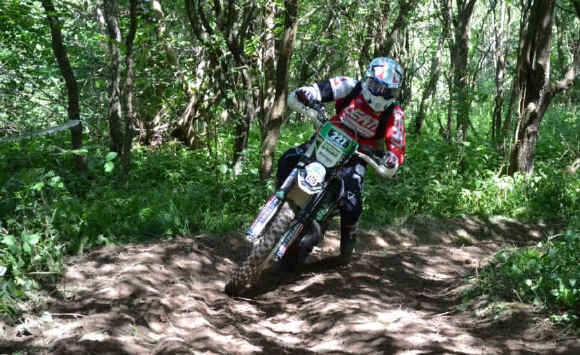 Daryl Gee came back to XC racing at his local Norwood event, finishing third on his trusty Honda CR250. In the sportsman Vets class Mick Alderson led from turn one to the finish flag. Mark Vardy held a great pace throughout the event to take a solid runner up place, whilst Stephen Boyle keeps his championship hopes well and truly alive by earning good points in third place. Ex Norwood Scrambles veteran Rob Gregory won the over 50 class on 10 laps. Championship leader Andy Kirby kept out of trouble to place P2 and harvest a great points haul. Fresh from Saddleworth moor fire fighting Pete Fletcher was happy enough with his final podium place at Norwood. The novice class had no less than 13 of the top places finishing on the same lap. Simon Collins once again showed his upgrade is signed and sealed for 2019 by winning the class. Callum Riddler placed runner up on his number 44 KTM, and Jonathan Lambert Cousins did all he could to catch the front-runners after a steady start. Jonathan is another rider who has eyes on championship top honours at the end of the season. Sarah Thomas ran out leader in the Ladies class after early race leader Abbie Piggott took a knock in the closing stages of the race. Simone Wallis placed runner up on her CRF150 less than 30 seconds behind eventual winner Thomas. With RAW marshals working overtime to add in 3 extra sections for the PM race, the morning race results and presentation was delivered in the heat of the day. Track conditions were as near perfect as they could be, Soft soil berms in the corners, hard pack trails through the woods, and some grass jumps around the paddock loop all provided a great viewing area for on lookers. A fantastic turn out of top Class Experts saw MRS Sherco rider Lee Sampson deliver a master class in smooth consistent riding as he took the overall win. Lewis Ellis used all his MX skills to close the gap in the closing stages of the race, but he had to settle for runner up on the day. Early race front-runner Marc Vardy continues to find his race fitness after major knee surgery last season. Marc looks more like a front runner every race, his steady approach could well be the key to a great Expert Championship result come the end of the season. Saul Hirst out on a borrowed Beta 125 had an awesome day to take the clubman class win on 14 laps after the two and a half hour race. 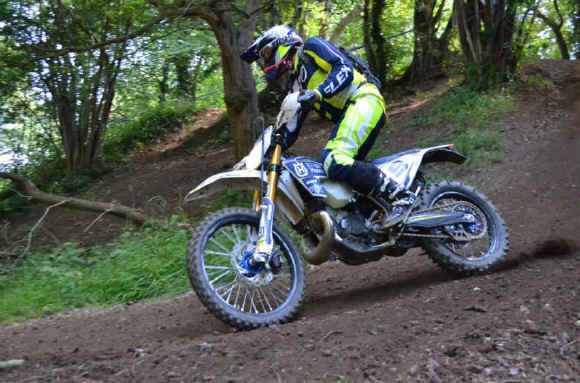 Tommy Grimmer was runner up on his RAW supported machine, with local Gas Gas UK rider Dawson Marriot keeping his XC speed on track with a credible third on the day. John Bradford took another winners trophy back home to Yorkshire for his efforts in the elite vets class, Paul McSorley thrashed his WR250 around to a superb runner up place. Andy Harvey another ex Norwood racer was shattered at the finish but he was equally happy to make the podium. Norwood is a venue which when dry delivers some of the best Hare & Hounds racing in the country. The sun gods sent sun when we needed it!! Norwood thanks for providing one of the best events ever. Until July 2019 the gates are closed, providing next years date is lucky with dry weather once again, Norwood will be prepped and designed for yet another fresh multi lap course. Special thanks to the Landowner, and the residents of Norwood. Well done all riders in the roasting heat. The Rock Oil Championship now takes a well earned summer break until September 9th when another New Classic venue, Harwood Dale near Scarborough will be the host. Next up event wise is the marathon 8 Hour 2 man team RAW Challenge at Driffield on August 19th – See you all there.